For most people, it’s fairly easy to see the advantages of an alarm system. Even homeowners who don’t have an alarm system installed see the advantages. In general, the main deterrent when it comes to home alarm systems is cost. Not only can the installation of a system be costly, but the monthly monitoring fee can also add up. However, it is important that homeowners keep in mind that a monitored alarm system can allow them to enjoy a major discount on their premiums for home insurance. 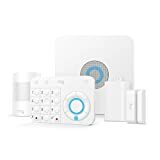 While this discount won’t entirely offset the cost of a home alarm system, but it will definitely help mitigate the costs. The Electronic Security Association (ESA) investigated the impact of a burglar alarm on the premiums for home insurance. The president of the ESA, Dom D’Ascoli, found that a home alarm system can lead to discounts of up to 20 percent. The home insurance premium discounts can be significant enough to cover a porition of the costs of monitoring or the installation of the home alarm system. Michael Barry, who serves as a spokesperson for the Insurance Information Institute, found that the majority of home insurance companies provide discounts for top monitored alarm systems. Therefore, all homeowners should contact their home insurance company to learn more about discounts for home insurance premiums as well as discounts for monitored alarm systems. Depending on the company, you may be able to enjoy both. Why Do Insurance Companies Give Discounts for a Burglar Alarm? One question that many people often have is why do insurance companies offer discounts for burglar alarms. While it may sound like a gimmick, the truth is that it’s not. A study conducted by researchers from Temple University indicated that a home that is protected by a home security alarm is 60 percent less likely to be burglarized. Researchers from Rutgers University conducted a similar study and arrived to a similar conclusion. As a result, home insurance companies are willing to offer a discount on home insurance premiums to homeowners who install home alarm systems because it saves them money in the long run. If a homeowners installs a home security system, it is less likely that they will be robbed. Accordingly, it is less likely that the home insurance company will need to spend thousands of dollars to cover the losses for the robbery. Therefore, home alarm systems are a win-win for all parties involved except burglars. Another reason for the home insurance discount is fire safety. Most home alarm systems offer protection against fires. For most insurance companies, fire damages are some of their costliest claims. Lightening and fire claims account for about 10 times more insurance claims than burglary or theft. For more information about why insurance companies give discounts for a burglar alarm, don’t hesitate to contact us here at Protect America. You can also reach out to us for a free quote.